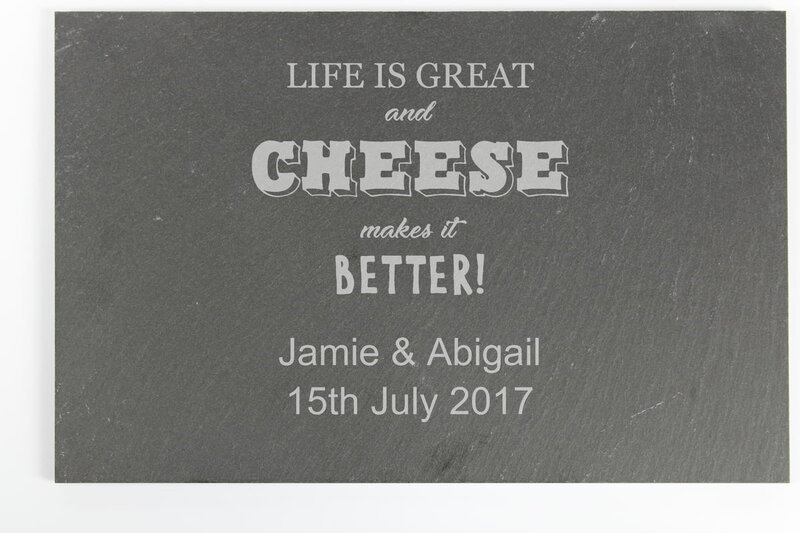 The wording 'Life is great and cheese makes it better!' is a fixed part of the design. Due to the nature of slate there will be some differences in the stone (such as texture, cut and smoothness). This may result in natural faults in the surface and edges of the product including flaking and uneven corners.